Slovak Americans are well known for their cultural contributions in church-related activities, their ethnic press, their work in fraternal organization and for sponsorship of various community events. Less known are accomplishments of Slovak Americans in specific professions (1). This lack of knowledge has been brought about by the fact that during the mass migration in the second half of the 19th century Slovaks were generally grouped together with Hungarians or Austrians, making their identification difficult, unless they resided in Slovak immigrant communities(2). 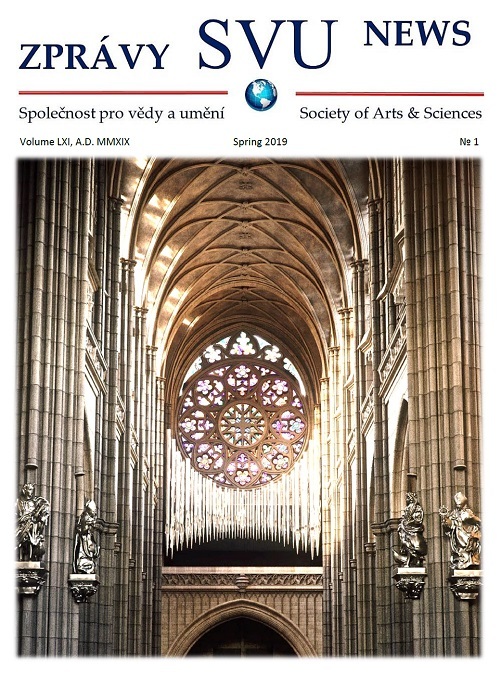 The present study focuses on prominent Americans with Slovak roots who have made significant contributions to arts and sciences and related fields. Special effort has been made to include individuals whose Slovak origin has not been heretofore known (3). Among the first medical experts from Slovakia who excelled in the U.S. was Arpad G.C. Gerster (1848-1923) from Kosice, who emigrated to America in 1873. He opened his practice in New York City and became one of the first surgeons in America. He was appointed professor of clinical surgery at Columbia University and was elected President of the American Surgical Society. His textbook on antiseptic surgery, published in 1884, was first of its kind in America(4). Goldberger was first to point out that pellagra was not an infectious disease but that it was caused by the lack of a certain factor found in foods, later identified as vitamin niacin. Goldberger succeeded not only in curing the disease but also in preventing it or even experimentally inducing it by suitable changes in the dietary regiment. Since medical circles had continuing doubts about his theories, Goldberger decided to inject blood, secreta and even excreta of pellagra patients into his own veins without any negative effects. Once and for all, he thus demonstrated that the disease was not infectious. He is credited by saving thousands of lives, not to speak of hundreds of thousands of pellagra patients who were returned to normal health. The third significant researcher in the field of medicine and clinical physiology was Soma Weiss (1899-1942), a native of Bystrica, who attained the position of full professor of medicine at Harvard University. In addition to his academic pursuits, he was chief physician at the Peter Bent Brigham Hospital in Boston. He made a number of fundamental observations on the frequency of blood flow, about etiology of cardiovascular diseases, hypertension, acute pulmonary edema, relationship between the cardiovascular syndromes and avitaminosis, autonomic nervous system etc.(6). Among contemporary medical and biological scientists the greatest achievements belong to a pediatrician and virologist Carleton Daniel Gajdusek (1923- ) who has been associated with the National Institutes of Health, Bethesda, Maryland since 1958. He was awarded Nobel Prize for his discovery of slow viruses, i.e, viruses with prolonged incubation period. He made the discovery during his research on a strange disease called “kuru” in the Papua Indians in New Guinea. He found that the disease is transmitted in the native tribes through their practice of ritual cannibalism. Whenever a member of their tribe died it was the custom among the relatives to eat part of the brain from the deceased to assure his/her immortality. Gajdusek demonstrated that the nerve tissue was infected by slow viruses which caused the transmission of the disease from one tribesman to another and which sometimes did not manifest itself until later in life (7). In the field of physical sciences the most prominent American scientist with Slovak roots is Edward Teller (1908- ), a nuclear physicist, who is credited with the development and production of the first atomic bomb. He is also considered the father of the thermonuclear hydrogen bomb. He was born in Budapest, however, his father, who was a lawyer, originally came from Nove Zamky in Slovakia. (8). Another physicist of repute was a Bratislava native George Feher (1924- ) who immigrated to America in 1947. He began his professional career at Bell Telephone Laboratories and since 1960 was professor of solid physics at the University of California in San Diego. He is a specialist on biophysics, magnetic resonance and photosynthesis. He received several prizes for his original discovery of the electronic nuclear dual resonance (ENDOR) and was elected to membership of the prestigious National Academy of Sciences (9). In the field of engineering the primacy belongs to the famed astronaut Eugene Andrew Cernan (1934- ) who is a Slovak by his father and a Czech by his mother. At the age of twenty-two he became a test pilot in the U.S. Navy and later gained an M.S. degree in aeronautical engineering. As an astronaut he was the pilot of the Gemini (1966) and in 1969 he was selected to pilot the moon module Apollo. In 1972 he led the Apollo 17 and as the eleventh earthman he stepped on the moon and made scientific observations on its surface (10). Two amateur Slovak American scientists are frequently mentioned in Slovak ethnic histories, i.e. Father Joseph Murgas (11), pioneer in wireless telegraphy and Stefan Banic, the inventor of the parachute. Neither of the two individuals is known beyond the Slovak ethnic circles and neither name appears in the standard texts of history of science and technology. The reason for the omission is not readily apparent. The contributions of these two pioneer scientists would deserve an independent and objective evaluation, considering the importance of these discoveries. Melville Jean Herskovitz (1895-1963) of Ohio, a prominent American sociologist, was by his father of Slovak descent. Since 1927 he was associated with Northwestern University where he directed the program of African studies. His Center became the de facto leading Center of African Studies in the U.S. In the twenties Herskovits began a systematic anthropological research of the black population in the U.S. which he later broadened to include the blacks from the New World, as a whole, as well as those from Africa. He did research in Surinam, the Dutch Guinea, Haiti, the Western Africa, Brazil and the Sub-Saharan Africa. His studies opened new areas of investigations and prepared the way toward a more positive and objective look at the blacks, both individually and collectively(12). From the contemporary period mention should be made of Louis Joseph Luzbetak (1918-) whose father was a Slovak native. As a member of the religious order SVD, he was associated for many years with the Divine Word Seminary, first as a professor and later as Rector of the ollege. In his research he specialized in applied anthropology, linguistic analysis and church cultural relations (13). In sociology the primacy goes to Edward Alfred Steiner (1866-1956), originally from Senice, Slovakia. He was professor of applied Christianity, which was basically a sociology, at Grinell College in Iowa. He was one of the first sociologists who focused attention on the problems of immigration and wrote a series of important publications in this area (14). In psychology Bruno Bettelheim (1903-1990), a Viennese native of Slovak ancestry, excelled. He became world famous for his pioneering work and methodology in treating emotionally disturbed and mentally retarded children and with his analyses of psychic aspects of racism. Since 1952 he held the position of full professor of educational psychology at the University of Chicago (15). The field of education was represented by Louis Grossman (1853-1926) who lived in the U.S. since the age of ten. He was born in Vienna but his father came from Slovakia. Apart from his responsibilities as a rabbi in Cincinnati, he held the position of director of the educational institute at the Hebrew Union College where he also taught theology and ethics. He gained reputation as a pioneer of modern methodology of Jewish education in the US (16). In the field of literature a Slovak native, Eugene Hannes Falk (b. 1913 ), stands clearly in the forefront. He is a specialist in Romance languages and literature. He came to America in 1946 and for some three decades was associated with the University of North Carolina where he held the position of full professor of French and comparative literature (17). Linguistics is represented by a prominent Slovak native, Nathan Susskind (1907-1994) who lived in New York since his childhood. He was an authority on Yiddish and from 1932 until the time when he retired in 1974 he taught at City College of New York. He was also the director of the Institute for Yiddish Lexicography which was established for the purpose of preparation of a large dictionary of the Yiddish language (18). In the field of history is Victor S. Mamatey (1917- ), whose father, Albert P. Mamatey, was very active among Slovak Americans and who participated in the liberation movement leading to the establishment of independent Czechoslovakia in 1918. Victor Mamatey wrote a number of important historical studies and held the position of full professor at the University of Georgia (19). Among the prominent Catholic theologians is John Anthony Hardon (1914- ) whose ancestors were Slovaks. He was professor of fundamental theology at Bellarmine School of Theology in Chicago for a number of years and later professor of advanced studies of Catholic doctrine at St. John’s University and then professor at the Notre Dame Institute in Virginia. He is the author of a large series of significant studies and recipient of many awards (20). Another important theologian of Slovak origin is Michael Novak (1933- ). He first pursued an academic career but later on, however, he has primarily been active as a publicist and writer. Since 1978 he has been associated with the American Enterprise Institute in Washington, DC, as an institutional scholar and professor of religion and public policy (21). Among Protestant theologians the most prominent personality is unquestionably Jaroslav Pelikan (1923- ), professor of church history and for a number of years Dean of the Graduate School at Yale University. He is the son of Rev. Jan J. Pelikan, a well known Slovak Lutheran minister. Jaroslav Pelikan is the author of several tens of books in the field of church history and theology and recipient of many honors, medals and honorary degrees. Among other, he was the chief editor of 22 volumes of the collected works of Luther and for several years he held the Presidency of the American Academy of Arts and Sciences (22). The most prominent Jewish theologian of Slovak origin was Stephen S. Wise (1874-1949), a native of Budapest, whose father came from Slovakia. Just as his predecessors, he became a rabbi and for more than half of the twentieth century was a dominant figure among American Jewry. He founded the Jewish Institute of Religion and became its first director. He was also one of the founders of the American Jewish Congress (23). In the field of fine arts, Oscar Berger (1901-1994? ), a native of Presov, who lived in the US since 1928, attained considerable fame. He was an excellent caricaturist who focused on world celebrities, from kings and presidents to movie stars. He published several illustrated books and his works are represented in the permanent collections in the National Portrait Gallery in Washington, D.C. and elsewhere (24). The greatest recognition among American artists of Slovak origin goes to Andy Warhol (1938-1987). He was generally recognized as the representative of American Pop Art whose paintings and prints of presidents, movie stars, soup cans and other American icons made him one of the most famous artists in the world. Although best known for his earliest works, Warhol’s career included successful forays into photography, movie making, writing and magazine publishing (25). Among Slovak natives in America who first excelled in music was Rafael Joseffy (1825-1987) of Huncovce who settled in America in 1879. A pianist of world repute, he was one of the first to acquaint the American public with the music of Brahms. From 1888 to 1906 he taught at the National Conservatory in New York He wrote numerous studies about the methodology of piano playing (26). A Bratislava native Ernst Dohnanyi (1877-1960) was a prominent pianist, composer and conductor. He immigrated to the U.S. in 1947 and for many years held the position of guest composer at Florida State University. He was a real virtuoso on the piano keys, as well as a recognized teacher. His compositions represented the culmination of European romanticism which was reflected in his passionate eloquence of expression while retaining the basic classical forms. His grandson Christoph Dohnanyi (1929- ), who began his music career as a pianist, is a prominent conductor (27). Bela Bartok (1881 -1945), who is considered one of the most important Hungarian composers, was on his mother’s side of Slovak origin. From his mother, Pavla Voitova, who was originally from Martin, he learned to play the piano. Besides his own compositions, he collected folk music of various nations and recorded thousands of melodies and arranged even more phono-graphic records. In his own artistic work he went from impressionistic compositions to expressionism. From 1940 he lived in the US and taught at Columbia University. In the US he composed music and carried out ethno-musicologic research of folk music. The first volume of his 3-volume publication about Slovak folk music was issued posthumously in 1959 (28). Among contemporary composers mention should be made of a Bratislava native Leslie Kondorossy (1919- ) who emigrated to the US after the war. He settled in Cleveland where he has been active as a teacher, conductor and composer of short operas (29). Also of Slovak ancestry was Lili Kraus (1908-1986), a Viennese native, who made her reputation as a pianist. She attained fame primarily as an interpreter of Chopin, Beethoven and Mozart. During the war she was interned by the Japanese as a war prisoner. In the last twenty years of her life she resided in the US (30). In this area Peter Lorre (1904-1964), a native of Ruzomberok, attained considerable fame. In Europe he came to prominence by acting in the movie “M” in which he portrayed a psychic killer and in the English production of Alfred Hitchcock’s “Man Who Knew Too Much”. Although he refused repeated offers from Hollywood previously, in 1934 he accepted an invitation from Columbia Pictures which permitted him certain artistic freedom. He was exceptionally talented and he played his roles convincingly and with great intensity. Although he represented in most roles repulsive and sadistic beings, Lorre gave them with his pathos a certain humanity. He was also able to portray people of various nationalities, from Germans to Hungarians, Russians, French, Mexicans, Arabs, and even Japanese. He performed brilliantly in a number of international spy movies which were quite successful, e.g. “Maltezian Falcon” and “Casablanca” (31). To the same generation also belonged Pola Negri (1894-1987), nee Barbara Apollonia Chalupiecova, who was ethnically half Slovak, half Pole. She began appearing in Polish films and in 1917 went to Berlin, at the invitation of Max Reinhardt. Her fame as a star of German films resulted in a number of contract offers from Hollywood. She began her US career in 1923 and for a number of years she was one of the reigning queens of Hollywood, admired for the earthy, passionate, exotic quality of her screen personality. Off screen she gained much publicity, through her love affair with Valentino and a long-running feud with rival Gloria Swanson. American audience soon tired of her offbeat screen image, and, with the advent of sound, her thick accent became another handicap. In 1929 she decided to return to Europe where she appeared again in German movies. After the outbreak of the World War II she came back to the US and played character parts in several films (32). Among the best known contemporary movie actors is Paul Newman (1925- ), whose mother came from Humenne, Slovakia. His famous movies include “Long Hot Summer”, “The Hustler”, “Butch Cassidy”, “Sundance Kid”, and “The Sting”. For his performance in the movie “The Color of Money” he was awarded an Oscar. Newman has been equally successful as a film director and producer, e.g. in his movie “Rachel”. His talents enabled him to portray a large spectrum of romantic roles, in which he characterized sarcastic, nevertheless, idealistic loners. Besides his movie career, Newman also excelled as an automobile racer and a supporter of liberal activities and defender of civil rights (33). Another very successful actor of Slovak origin is Robert Urich (1947- ) of Toronto, who since 1981 has successfully performed in the television series “Spenser for Hire”(34). In connection with theater arts we need to include Martin Beck (1867-1940) of Liptovsky Svaty Mikulas who came to prominence in the U.S. as a theater manager and vaudeville impresario. In 1901 he founded Orpheum Vaudeville Circuit which was broadened to include 60 theaters and had, in fact, vaudeville monopoly to the west of Chicago. Beck was known for his ability to choose suitable location for new theaters. He also had remarkable ability to discover new talents among starting actors. In 1911 he built on New York Times Square the famous alace Theater which became the Mecca of the theater world. In 1924 he decided to build a legitimate theater under the name Martin Beck Theater, which attained the same success as all his previous ventures (35). Max Reinhardt (1873-1943), a Baden native of Slovak ancestry, was one of the first theater directors who attained world recognition as an creative artist. In Europe he founded the famed Salzburg Festival. Beginning as an actor he soon devoted his energies to theater directing. By the end of 1904 he directed a total of 42 plays and in the following year he demonstrated his genius in production of Shakespeare’s drama ” Summer Night’s Dream”, which brought him world fame overnight. After the Nazi takeover in Germany, he interrupted his theater career and in 1938 he emigrated to the US . He then moved to Hollywood where he conducted a popular theater workshop(36). Among American pioneers in this field is Benjamin W. Huebsch (1875-1964), whose father, a prominent American rabbi and scholar, originally came from Liptovsky Svaty Mikulas. From a small print shop he built the large publishing house B. W. Huebsch Co. which in 1925 combined with the famous American firm Viking Press and subsequently he became the vice president and the chief editor of the new corporation. He is credited with publishing in the U.S. translations of the key European works and all the books which were published under his direction were of high quality. Huebsch was considered a Nestor of American publishing. He was a defender of freedom of expression and put forth the idea of creating a permanent book exhibition cooperative which would exhibit books by all publishers. He was also the first to promote the idea of initiating specialized courses for publishers. In later years he represented American publishers in UNESCO (37). From the contemporary era, special mention needs to be made of Eugene Fodor (1905-1991), a native of Levice in Slovakia, who emigrated to the US in 1938. He was the founder of popular tourist guidebooks which contained popular reading, historical background and cultural insights about interesting places and people, while providing reliable and practical information written in a readable style to help the inexperienced tourist. In 1949 he founded the new series “Fodor’s Modern Guides” which provided detailed narratives about individual countries and which were translated to all major languages. Some 90 books are issued in this series yearly (38). One of the most successful business ventures in America is the well known Rich Department Store in Atlanta, Georgia. It was founded by a Kosice native Morris Rich (1847-1928) who came to the U.S. in 1860. It was the first department store of its kind in the southern part of the U.S. which achieved great popularity by introducing a very liberal credit policy and by maintaining excellent relations with its employees (39). As a second example of a successful businessman, we choose John Daniel Hertz (1879-1961) of Vrutky, Slovakia who came to the US with his parents at the age of five. He ran away from home as a youngster and lived by doing odd jobs. His luck turned for the better in 1900 when he was selling automobiles and when, in a relatively short time, he became one of the best salesmen. His success was based on the practice of promising his customers that he would provide them with permanent service and repairs at any hour of day or night. In 1915 he founded Yellow Cab Co. in Chicago, the first reliable taxi service in the US. His company grew fast, having branches in 1000 different American cities and Hertz became a self-made millionaire before reaching the age of thirty. He then decided to manufacture his own taxicabs. In 1934 he also went into investing, jointly with the Lehman Brothers. In 1954 he established the famous Hertz Corporation for renting automobiles which has branches throughout the world (40). Among American public servants in the legislative branch we find at least seven Congressmen, namely Joseph Matthew Gaydos (1926-), Democrat from Pennsylvania, Philip Edward Ruppe (1926-), Republican from Michigan, Daniel Mica (1944-), Democrat from Florida, Claudine Schneider (1947-) Republican of Rhode Island, Thomas Joseph Ridge (1946-), Republican of Pennsylvania, Peter Visclosky (1949-), Democrat of Indiana and John L. Mica, Republican of Florida. One of the named Congressmen, Thomas Joseph Ridge, was recently elected the new Governor of Pennsylvania (41). In the Executive Branch of the US Government, the highest position among Slovak Americans was attained by David Eli Lilienthal (1899-1981), a native of Illinois, whose parents immigrated to the U.S. from Bratislava at the end of the 19th century. He was a prominent lawyer, specializing in public service. In 1933 President Roosevelt appointed him one of the three co-directors of the U.S. Tennessee Valley Authority (TVA) and in 1941 President Truman made him the chief director. In 1946 President Truman put him in charge of the newly Atomic Energy Commission, the successor of the famous Manhattan Project which produced the first atomic bomb. After his retirement he organized a private Development and Resources Corporation to provide technical assistance to developing countries (42). The last public servant to be mentioned here represents the Judicial Branch of the US Government. He was a Viennese native, Felix Frankfurter (1882-1965), whose uncle, a prominent classical philologist and director of the University of Vienna Library, Soloman Frankfurter, originally was from Bratislava. One can surmise that Felix Frankfurter, who came to the US when he was twelve years old, was also of Slovak origin. Felix Frankfurter was one of the most important American lawyers and judges whom President Roosevelt appointed to the US Supreme Court. He remained in this position from 1939 till 1962. He was a leading exponent of doctrine of judicial responsibility and a close advisor of Presidents Woodrow Wilson and Franklin D. Roosevelt. Prior to his appointment to the Supreme Court he was professor of law at Harvard University (43). In looking over the accomplishments of these personalities one cannot but admire that despite their rather humble origin so many individuals achieved such high distinction,. They were all clearly self-made persons, in the best American tradition, which has made these United States what it is. Except for their common territorial origin, no claims are made here concerning the listed individuals’ ethnic background or their nationalistic orientation. To be sure, any effort to do so would have to end up in failure since most of such judgments would have to be based on second guessing. What is certain, however, is the fact that a large percentage of the listed individuals were professed Jews or that they came from a Jewish background. A part of the explanation for this may lie in the fact that immigration of Jews to the US from Slovakia preceded other segments of Slovak population by several decades, if not centuries (44). Furthermore, as was pointed out by Thomas Capek (45), one has to also take into account the extraordinary pioneering spirit and erudition of Jewish immigrants from the Czechlands and Slovakia and their facile adaptability to new homeland. 1. There are a number of ethnic histories concerning Slovak Americans, including Konstantin Culen’s Dejiny Slovakov v Amerike (Bratislava: Slovenská liga, 1942); Jozef Stasko, Slovaks in the United States of America (Cambridge. MA: Dobrá kniha, 1974); Slovaks in America. A Bicentennial Study (Middtetown, PA Slovak League of America, 1978); M. Mark Stolarik, The Slovak Americans (New York: Chelsea House, 1988). 3. Included are individuals who were either born on the territory of today’s Slovakia or their descendants, irrespective of their national or ethnic origin. Until the establishment of independent Czechoslovakia (1918), which included today’s Slovakia, Slovak emigrants to America were officially classified as Hungarians. Consequently it would be virtually impossible to identify bona fide Slovaks except by place of birth. The individual selections are solely those of the author and are based wholly on their specific achievements by international standards. 4. In addition to his popular autobiography, Recollections of a New York Surgeon (1917), see appreciation of Dr. William J. Mayo in Surgery, Gynecology and Obstetrics, April 1928. His biography also appears in Dictionary ofAmerican Biography, vol.4 (1932), 228-29, and his obituary in New York Times, March12, 1923. 6. See In Meliorism.’ Soma Weiss. Peter Bent Brigham Hospital, 1942. Weiss’s biography also appears in Dictionary of American Biography, Suppl. 3 (1973), 805-806. His obituaries can be found in the Transactions of the Association of American Physicians 57 (1942). 36-3 8, Science, February 27, 1942, Journal of the American Medical Association, April 18, 1942, and Lancet, May 9, 1942. 7. See Carol Eron, The Virus That Ate Cannibals (New York: Macmillan, 1981); Douglas B. Tower, “D. Carleton Gajdusek, MD – Nobel Laureate in Medicine for 1976″, Archives of Neurology, April 1977, 205-8; Current Biography Yearbook, 1981, 156-59. 8. It should be pointed out that Edward Teller considers himself a Hungarian. For information about his life and work, see Stanley A. Blumberg and Louis C. Panes, Edward Teller: Giant of the Golden Age of Physics. A Biography (New York: Scribner’s, 1990)~ Energy in Physics, War and Peace. A Festschrift Celebrating Edward Teller’s 80th Birthday. Hans Mark and Lowell Wood, eds. (Boston: Kluwer Academic, 1988). 9. For Feher’s bio-data, see Who’s Who in America, 1996, p.1268, and a recent edition of American Men and Women of Science. 10. For more information on Cernan, see W. J. Cook, ‘When America Went to the Moon,” US World News Report, vol.117, July II, 1994, p. 504; “Cernan Starts up Constituency to Promote Space Commerce,” Aviat. Week Space Technol., vol. 120, June 25, 1984, 78-9; Current Biography Yearbook, 1973, 85-88. 11. See Stephen J. Palickar, Rev. Joseph Mw-gas, Priest-Scientist: His Musical Wireless Telegraphy and the First Radio: A Biography (New York, 1950); M. Edwardine Spak, “Reverend Joseph Murgas (1864- 1929), Slovak Studies 16 (t976), 119-64..
12. For more information on Herskovits, see American Anthropologist 66(1964), 83-109 and Current Biography Yearbook, 1948, 82-84. See also Bronislaw Malinowski s critical evaluation, “The Present State of Studies in Culture Contact: Sonic Comments on an American Approach”, Africa. 12(1939), 27~47 and Margaret Washington’s review article “Anthropological Approaches to History”, in Encyclopedia of American Social History. Mary K. Clayton, Elliot J. Gorn and Peter W. Williams, eds. (New York: Charles Scribner’s Sorts, 1993), vol. 13. For Luzbetak’s bio-data, see Who’s Who in Religion. 1st ed. (1975-76) ; American Men and Women in Science, 12th ed. (1973). 14. For biographical data on Steiner, see Who Was Who in America, vol. 3 (1960), 816. 15. For mote information on Bettelheim see New York Times Magazine, January II, 1970, 22-23, 107-1Il; International Encyclopedia of the Social Sciences, David L. Sills, ed. (New York: The Free Press, 1979), vol. 18, 59-63; and Current Biography Yearbook, 1961,50-51. 16. For concise biography of Grossman, see Dictionary of American Biography, vol.4(1932), 23-24. See also Hebrew Union College Jubilee Volume, 1875 -1925 (Cincinnati, 1925) and his obituary in New York Times, September 22, 1926. 17. For more information about Falk, see Directory of American Scholars. 8th ed., vol. 3 (1982), 153.; and Contemporary Authors 116 (1986), 148. 18. For some information on Susskind, see Directory of American Scholars. 8th ed,, vol. 3 (1982), 515. 19. For Mamatey’s biography, see Directory of American Scholars. 8th ed., vol.1 (1982), 495; Contemporary Authors 9-12 R (1974), 565; Who’s Who in America, 1996, 2649. 20. For information on Hardon. see Directory of American Scholars. 8th ed., vol.4(1982), 217; Who’s Who inAmerico. 1996, 3752. 22. For more information on Pelikan, see M. A. Noll, “The Doctrine Doctor,” Christianity Today, vol. 34, September 10, 1990, 24-36; Z. lngalls, “Yale’s .laroslav Pelikan. Bilingual Scholar of Christian Tradition,” Chronicle of Higher Educarion, vol. 26, May 4, 1983, 4-5 Directory of American Scholars. 8th ed., vol. 4 (1982), 415.; Current Biography Yearbook, 1987, 38-42. 23. Wise wrote an interesting autobiography, entitled Challenging Years: The Autobiography of Stephen Wise (London: East and West Library, 1951). For more information about Wise, see Justine Wise Polier and James W. Wise, eds., Personal Letters of Stephen Wise (1956), Dictionary of American Biography, 1974, Suppl. 4, 903-906; Current Biography Yearbook, 1941, 930-32. 24. For his work see his books: The Presidents (New York: Crown Publishers, 1968); My Victims. How to Caricature (New York: Harper, 1952); Famous Faces (London: Hutchinson, 1950). 25. Numerous works have been published about Warhol and his art. These include: Stephen Koch, Stargazer.’Andy Warhol’s World and His Films (New York: Praeger, 1973); Patricia S. Smith, Andy Warhois Art and Films (Ann Arbor, Ml: Michigan IJMI Research Press, 1986). For biographical information see Current Biography Yearbook, 1968, 414-17; ibid, 1986, 588-91. 26. See B. Hughes, “Rafael Joseffy’s Contributions to Piano Technique,” Musical Quarterly, July 1916; and his biography in Dictionary of American Biography, vol.5(1939), 217-18. 27. His stay and work in Florida is covered in a doctoral dissertation by M. Renth, “The Tallahassee Years of Ernst v. Dohnanyi”. Florida State University, Tallahassee, 1962. His contributions to music were evaluated by L. Podhradszky in Studia musicologica academiae scientiarum Hungarica 6 (1964). See also Current Biography Yearbook, 1985, 94-98; Baker’s Biographical Dictionary of Musicians 8th ed. ( New York: Maxwell Macmillan, 1992), 441-42. 28. Voluminous literature exists about Bartök and his music. An extensive article in Bakers Biographical Dictionary of Musicians ,op. cit., 115-18, provides an extensive bibliography. For Bartok’s relation with Slovakia, see Slovensky biograficky slovnik. (Martin: Matica slovenska,. 1986), vol. 1,155-56. 29. For information on Kondorossy, see Baker’s Biographical Dictionary of Musicians, op. cit., 944. 30. For information on Kraus, see Current Biography Yearbook, 1975, 227-30; Who Was Who in America, vol. 9 (1989), 201; Bakers Biographical Dictionary of Musicians, op. cit, 960. 31. For more information about Lorre and his films, see Calvin Thomas Beck, Hero es of the norrors (New York: Collier Books, 1975), Tedd Sennett, Masters of Menace: Creenstreet and Lorre (New York: Dutton, 1979), Stephen 11. Youngkin, James Bigwood and Raymond G. Cabana, Jr., The Films of Peter Lorre. (Secaucus, NJ: Citadel Press, 1982). His concise biography can be found in Dictionary of American Biography, Suppl. 2 (1981), 478-79. 32. Negri had an uncritical and almost blind admiration of her own genius which is also reflected in the title of her autobiography, Memoirs of a Star (Garden City, NY: Doubleday, 1970). Several other biographies were written about hem, including Marjorie Rosen, Popcorn Venus: Women, Movies and the American Dream (New York: Coward, Mccann and Ceoghan, 1973); Wieslawa Czapinska, Polita (Warsaw: Wydawnictwa Radia i Televizji, 1989). 33. Several good books exist about Paul Newman, including Laurence 3. Quirk, Paul Newman (Dallas, TX: Taylor Pub. Co., 1996); Elena Oumano, Paul Newman (New York: St. Martin’s Press, 1989); Charles Hamblett, Paul Newman (London: W. H. Allen, 1975); Lionel Godfrey, Paul Newman, Superstar: A Critical Biography (New York: St. Martin’s, 1978); J. C. Landry, Paul Newman (New York: McGraw-Hill, 1983); Eric Lax, Paul Newman:A Biography. (Atlanta: Turner Pub., 1996). 34. For biographical data on Urich, see Who’s Who in America, 1996, 4256. 35. For more information about Beck, see Joseph Laurie, Vaudeville: Front the Honky-tonks to the Palace (New York: 1-loft, 1953). A short biography of Beck’s can be also found in Dictionary of American Biography, Suppl. 2, (1944), 32-33. 36. There are a number of good publications about Max Reinhardt, including Christoph Funke, Max Reinhardt (Berlin: Morgenbuch, 1996) John L. Styan, Max Reinhardt (Cambridge: University Press, 1982); Lotte H. Eisner, The Haunted Screen. Expressionism in the German Cinema and the Influence of Max Reinhardt (London: Thames & Hudson, 1969); Huntly Carter, The Theatre of Max Reinhardt (New York: B. Blom, 1964). 38. For Fodors biography, see Who’s Who in America, 1988-1989, 1002. 39. See Henry 0. Baker, Rich’s of Atlanta: The Story of a Store Since 1867 (Atlanta: University of Georgia School of Business, 1953); Leon Harris, “The Riches of Atlanta,” in: Merchant Princes (New York: Harper & Row, 1979), 135-55; Encyclopaedia Judaica (Jerusalem, 1971), vol.14, 158. 40. A short biography of Hertz appears in Dictionary of American Biography, Suppl. 7 (1981), 342-43.Accounts of his business activities can be found in Current Opinion. January 1925; American Magazine, April 1925; Business Week, November 7, 1935; Time, November 18, 1935; Fortune, Febmary 1936; and Nation, July 9, 1960. 41. For biographical information on these congressmen, see Who’s Who in American Politics, 14th ed. (New Providence, NJ: R.R. Bowker, 1993), i.e. D. Mica, 370, 3. Mica, 371, Gaydos, 1473-74, Schneider, 1542, Ridge, 1500, Visclosky, 57. Biographical information on Ruppe can be found in: ibid. 6th edition (1977), 862. 42. See Philip Selzpick, TVA and the Grass Roots (Berkeley: University of California Press, 1949); Brooks’s article in New Yorker, April29 (1961), 45-90; The Journals of David Eli LilienthaI, 7 vols. ( New York: Harper & Rowe, 1964-1983); and Current Biography Yearbook, 1944, 4123-15. 43. A perceptive biographical essay of Frankfurter appears in Joseph P. P. Lusk, From the Diaries of Felix Frankfurter (1975). Other biographies are: Helen S. Thomas, Felix Frankfurter. Scholar on the Bench (Baltimore, Johns Hopkins University, 1960); Liva Baker, Felix Fran4fi.rter (New York: Coward-McCann, 1969); W. Mendelson, ed., Felix Frankfurter A Tribute (New York: Reynal, 1964); Philip B. Kurland, ed., Felix Frankfurter on the Supreme Court (Cambridge, MA: Belknap Press, 1970); Harry N. Hirsch, The Enigma of Felix Frankfurter (1981); Melvin I. Urofsky, Felix Frankfurter. Judicial Restraint and Individual Liberties (Boston: Twayne, 1991), On his relations with Roosevelt, see Max Friedman, ed., Roosevelt and Frankfurter (1968). 44. See my study, “Early Jewish Immigrants in America from the Czech Historic Lands and Slovakia,” Rev. Soc. Hist Czechoslovak Jews 3 (190-91), 157-79. 45. Thomas Capek, Moje Amerika. Vzpominky a uvahy (1861 -1934), (Praha: Fr. Borovy, 1935), 14.